Isedua is Access Now's Legal and Policy Fellow for Latin America. She received her J.D. from Fordham Law School in New York City, as well as an LL.M. in International Business Law from Universidad Pontificia Comillas in Madrid. 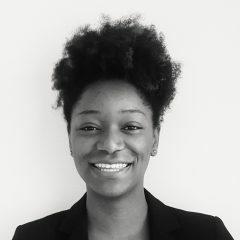 Isedua's work with the Leitner Center for International Law and Justice at Fordham sparked her interest in business and human rights law and she is excited to pursue that interest at Access Now. Besides social justice, Isedua's other deep passion in life is Van Gogh.